South Austin’s top rated Mexican Restaurants, that just so happen to be gluten-free friendly too! If you’re like the many thousands of folks headed into Austin this week for the launch of the South by Southwest show, you’re probably scouring the web for suggestions on what to see, what to do and better yet – where to eat! Austin is the live music capital of the world, but it’s also home to some of the best cuisine in the country. Whether you’re craving finger-licking, melt off the bone Barbecue, Interior Mexican Cuisine, Tex Mex, Vietnamese or fresh Farm-to-table fare, Austin has plenty to choose from. SXSW turns Austin on it’s head, with some of the best names in music, interactive and film checking out our amazing little town. And while SXSW is an exciting time for attendees, it can also be a bit daunting if you have food allergies and you’re visiting a new town. While the Convention Center does offer some gluten and dairy free options, our guess is you would like to venture out and explore some of the amazing culinary skills our local chefs have to offer. 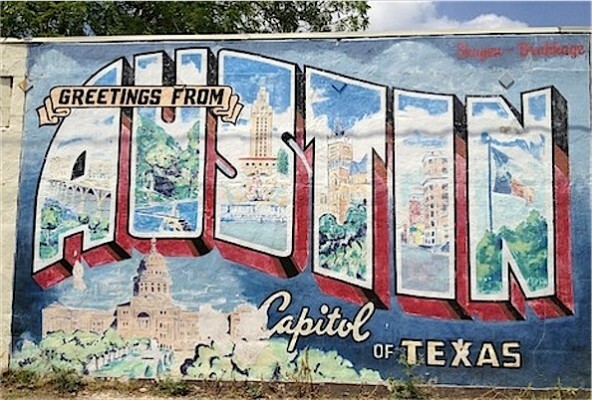 Every year, the Austin Food Bloggers Alliance works in partnership with local food bloggers to produce a SXSW guide to all things ‘food’ related that Austin has to offer. And since we’re kind of known for our food here, especially Tex Mex, we’ve pulled together a list of some of our favorite Mexican joints in South Austin. Oh, and they just so happen to be gluten-free friendly too in case that’s important to you! An ode to 1950’s diners in the heart of South Austin, Chuy’s is a short drive from downtown and sits alongside Austin’s famous Zilker Park. No views, but a stone’s throw from the lake hike and bike trails that are worth checking out if you have some time! And if you’re looking for allergy-free options, the staff at Chuy’s are always willing to help steer you towards the gluten-free friendly items. Since their salsa is gluten-free, you have several typical Tex Mex options to choose from as well as some salads. Just make sure you steer clear of anything with their green chili salsa as it has flour in it. Come for the sunny rooftop deck, stay for the star filled skies. El Alma is one of our favorite places to chill, and offers delicious, closer-to-authentic Mexican foods and their margs pack a nice little punch. We typically opt for their taco plates, and love to pair the steak and shrimp, but the chili relleno stuffed with duck is another favorite. They have plenty of gluten and dairy-free options, and their staff is always knowledgeable and happy to help. Other menu items include traditional fajitas & enchiladas, and all items are served with a small side of beans and rice upon request. The portions are a bit smaller than typical Tex Mex styles, and their margaritas are made to order. Definitely worth the quick drive from downtown, and when you’re done, walk next door to Lick, and top dinner off with some of the best, locally sourced and organic ice cream we’ve ever tasted. Bobs Chalupa Wagon (and Bob himself) are fabulous! Bob shared with me one night that his wife is gluten-free and also allergic to soy, so they are very aware of allergy restrictions and are definitely willing to accommodate. Bufalo Bob’s offers range fed all natural Bison, Chicken and Vegetarian Chalupas. They use locally raised all natural chicken and bison certified free of hormones and antibiotics, and their recipes are homemade with organic products whenever possible! They strive to make great tasting food that is good for your body too! Situated along the Shoal Creek, Garrido’s is perfect for a casual lunch or an elegant dinner, and they have never disappointed! Grab a table on their patio if you can and sit back and enjoy the relaxed vibe while you sip a margarita or cucumber mojito and sample some of our favorite Mexican food in Austin. Their gluten-free menus are labeled and almost all items are gluten-free so rest easy, and enjoy a more authentic Mexican meal. Yum! No trip to Austin is complete without a stop at Guero’s on South Congress! Enjoy handmade corn tortillas, specialty dishes and fresh salsa bar. The caldo de pollo and tacos al pastor are just a few tried-and-true favorites. Start off with a hand-shaken margarita in the cantina, or enjoy an icy cold beer while listening to music in the Oak Garden. Just sit back and relax and ponder why you haven’t moved to Austin yet. And yep, the’ve got a gluten-free menu too! Maudie’s is one of our favorite neighborhood stops and we can’t say enough great things about them! The casual, Austin vibe is an ode to their laid-back approach to good Mexican food. Come for some healthier takes on traditional Tex-Mex fares. Oh, and if’ you’re gluten-free, they’ve “got y’all covered to”. They offer a gluten-free menu as well as separate gluten-free chips, and menu is full of great options. They take a little longer with their gluten-free orders because they take care to prep their stations and grills to avoid cross contamination – they rock! We know plenty of folks who claim Polvos to be the best Tex Mex in South Austin, and while it’s not our favorite, it’s a good option for those who dig saucy Tex Mexy dishes. Check out their full salsa bar inside, including pick;ed veggies, and if you’re looking for a healthier option, opt for the steamed fish cooked in a banana leaf and surrounded by veggies. The margs are good – not great, but they get the job done, and the tortillas are handmade and delish. Another one of our favorite, more authentic Mexican options, Sazon doesn’t offer much in the way of ambience, but they make up for it with stiff drinks and some delicious food. Offering full vegetarian options and several gluten-free choices too. The PUERCO EN PIPIAN is amazing (pork covered in a light pumpkin seed sauce) and the POLLO EN MOLE OAXAQUEÑO is one of our favorite moles in town. The TIKIN XIC is another favorite! Created in Austin and locally owned for more than 25 years, Manuel’s is a “must” for quality Mexican food. Serving non-GMO corn products, Premium All Natural Texas beef, chicken, pork, and wild caught Tuna, Black Drum, and shrimp. Manuel’s is an Austin favorite – consistently voted in the top 20 restaurants in town and recognized for best mole, ceviche, enchiladas, tortilla soup, and Happy Hour. And if you’re allergy-free, Manuel’s staff is more than happy to check with the chef to recommend the safe gluten and dairy-free options. From our experience, there are plenty of choices to be had, and we love their more authentic take on an Austin favorite; Viva Mexican! Matt’s is another neighborhood favorite joint that we can’t say enough great things about! Come for the margs – they pack quote a punch! Try their version of a Mexican Martini, which has just the right touch of tart and olive to keep us coming back! The oversized patio is a favorite space with a water fountain and lots of beautiful landscaping that will make you happy you took the short drive up from downtown to find it. authentic Mexican food in a great family atmosphere. And for you gluten-free folks, they don’t offer a separate gluten-free menu, but they’re quick to send a manager over to your table once you mention gluten-free. You’ll have plenty of delicious options here! Simple, local and handmade is the essence of the TNT food approach. The essence of great food is simplicity not complexity. Part of simplicity is using what’s in season, and TnT makes every attempt to source local products. Each month the menu changes to reflect seasonal products from local farms. With local farm fresh foods, they plenty of amazing menu items to choose from, and their staff is happy to steer you to the gluten-free safe items. Their full tequila bar and delicate bites are sure to please – they keep us comin’ back! With yummy Mexican style street corn and tacos, and homemade salsas that are too good to skip, TNT is a fave for a (slight step up from) casual. What started as a trailer quickly became an Austin sensation, paving the way for many other food trailers to restaurant fame in town. Come for some of the best breakfast tacos in town, and don’t miss our out on their queso – there’s a reason locals keeps voting it “the best queso in Austin”! Torchy’s Tacos operates several restaurants in Austin, plus one of our favorite trailer parks (located on South 1st Street). They’re local, cheap, casual and oh so good! And thanks to their willingness to accommodate allergy-free dining needs, Torchy’s is a great option for those with gluten-free, dairy free and various other restrictions. Grab their gluten-free menu at the counter before ordering and smile as you sit back to enjoy fresh and tasty tacos, Torchy’s style! Here are several other options in South Austin that we know so many people love, but we haven’t personally tried since we’re gluten-free. I’ve included the Yelp links so you can check out the reviews – hope it helps! If you’re on the hunt specifically for gluten-free options around town, you can check out our earlier posts on gluten-free dining on South Congress here or our gluten-free suggestions for downtown here. And if you’re looking for gluten-free friendly restaurants while here, be sure to download the Locate Special Diet app which will give you consumer generated reviews of the best gluten-free friendly joints in town. We hope you enjoy your little city as much as we do – it’s a fantastic place to live and we cherish all that makes it so unique and special!